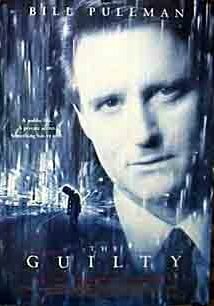 Buy or Rent The Guilty (2000) Movie DVD & BluRay Online! Movie Plot: Callum Crane is in line for appointment to the federal bench during the same week he forces himself, while drunk, on a new secretary at his office who has firmly said no to him. It’s also the same week Nathan Corrigan (a young, callow ex-con) goes to the city to meet his biological father, the same Callum Crane. They meet and before Nathan can tell Crane who he is, Crane offers him money to kill the secretary, who has threatened to go to the police. Nathan takes an envelop of cash and the woman’s photo, tells friends about it, and throws away the envelop. One of the friends, who needs money, retrieves the envelop and sets out to kill the woman. Can Nathan stop the crime?